Key players from the power industry and civil society collectively recognized local government units (LGUs) for their undertakings and initiative in pushing for renewable energy (RE) and reject coal projects in their respective areas. The Power for People Coalition (P4P), in cooperation with the Center for Energy, Ecology and Development (CEED), Philippine Movement for Climate Justice (PMCJ), Sanlakas, Greenpeace, and the World Wild Fund Philippines (WWF), organized the Convergence for 100% Renewable Energy in the Philippines in which LGUs, RE developers, and representatives of host communities and civil society gathered to tackle challenges to realizing the shift to renewable energy in the Philippines. The event culminated in the awarding of the Gawad REsponsableng Lokal na Pamahalaan to the Ozamiz City Government, the Quezon City Government, Cebu City Government, and the South Cotabato Provincial Government for their active promotion of clean, affordable, renewable energy in their territories. The event’s Keynote Speaker, Senator Loren Legarda emphasized the importance of the active participation and collaboration among sectors in realizing our climate commitments and protecting the environment through renewable energy. “Having laid down the state of RE development in our country, I hope that this symposium will help surface issues that has brought us to the situation we are in now. We cannot claim energy independence for as long as we rely on imported fuel. Unless we are willing to embrace the reality that RE is a global phenomenon that is beginning to replace coal and fossil fuels as a cheaper fuel source,” Sen. Legarda said in her speech. “Today, we recognize the efforts of the local government units who, despite the challenges posed by the national government policy and pro-coal stance, have taken initiatives to pursue renewable energy systems and challenge the coal industry,” said Gerry Arances, Executive Director of Center for Energy, Ecology, and Development (CEED). “Despite the availability of the renewable technologies, more than a billion of our people are still under energy poverty and most of our communities are suffering from different impacts of coal and high electricity prices. Advocating for clean and affordable renewable energy is caring for our people, caring for our environment, and promoting equal access to electricity,” added Arances. According to Arances, trends show that most of the global energy financiers are already investing and offering innovative and affordable RE solutions. In fact, a bid of P2.99/kWh has already been made to compete with the existing P3.50/kWh. Pedrosa stated that the rising cost of electricity exacerbates the difficulties faced by the poorest Filipinos from the rising cost of other basic goods. “If the national government is serious in alleviating the lives of Filipinos from poverty, it will stop believing in the myth of ‘cheap’ coal and start supporting initiatives for community-based, people-centered renewable energy instead” Pedrosa said. Local and international banks have been also divesting because of the increasing number of cases and complaints from the coal operations. “The Philippines joins now with the global movement of governments declaring coal free in their pursuit of development and industrialization and this is the Powering Past Coal Alliance, a movement composed of more than 20 countries led by UK and Canada,” said Ian Rivera, National Coordinator of the Philippine Movement for Climate Justice. 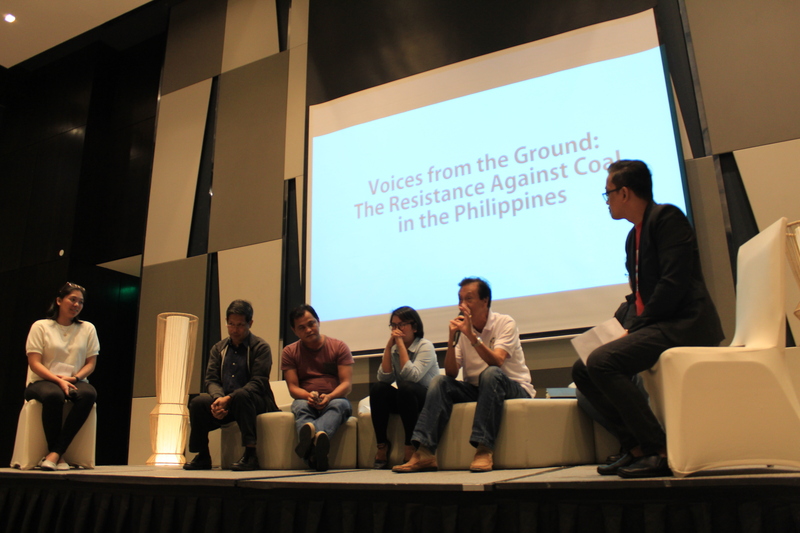 “These 8 local government units typify these alliance in the Philippines. They have realized coal have already reached its limits and it is not the energy for today and the future and that new responsive development have to be radically embraced for the people and the planet,” added Rivera. 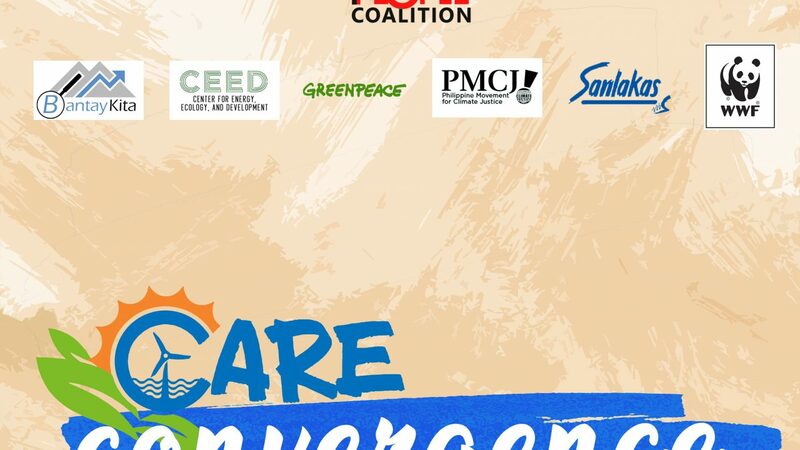 The event is part of P4P’s Week of Clean, Affordable, Renewable Energy (WeCARE), leading up to the State of the Nation Address (SONA) this July 23rd.